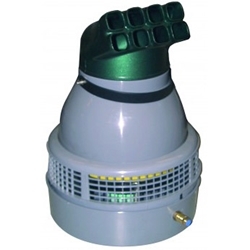 This humidifier comes with a humidistat and is a great way to control the humidity levels in medium to large grow rooms. 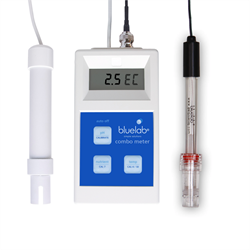 Knowing the temperature and humidity levels in your grow room is critical to keeping your plants growing at optimum rates and helps immensely with diagnosing any problems. 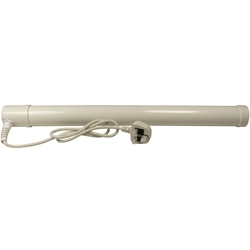 With these tubular heaters you can ensure that the temperature stays at optimum levels all year round! This 800ml Dehumidifying Dry Pot is a cost effective way to remove the moisture in your grow room! 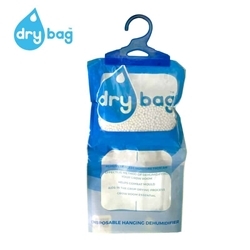 It aids in the crop drying process, and helps to remove damp, mould and mildew caused by too much moisture in the air. Another true grow room essential! Your customers will be impressed with just how much moisture this handy little device can soak up. Mist Maker Increase your humidity without wetting plants! The Mist Maker's light, fine fog is what you need. 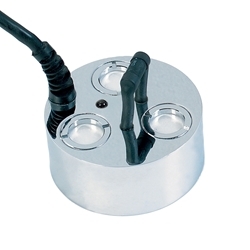 It produces water vapour via ultrasonic vibration to increase your humidity. It's quiet, compact and cool running. To prevent overheating, if your water level drops too low, your Mist Maker will switch off. Mist Makers maintain the optimum growing enviroment required for cuttings and seedlings as well as growth through the vegetative stage of your plant cycle. Place in a large propagator or centre of the growroom and watch the vapour float around your cuttings producing rapid growth rates and delivering greater nutrient uptake along with nutrient transportation. 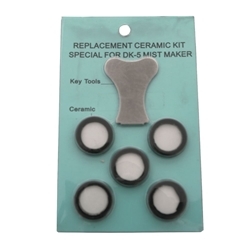 There is Replacement Ceramic Discs available for Mist Maker 3&5. Correct the height of your mist maker to suit your water level. 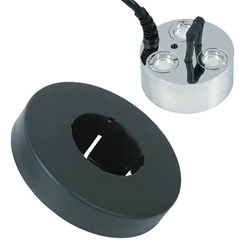 For maximum performance, the mist maker should be placed just below water level. No tools required. 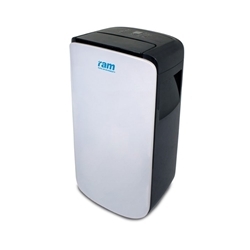 The RAM Dehumidifier allows you to program a predefined humidity levels which the unit will then maintain, so you can rest assure your growing space is maintaining the perfect temperature. Humidity is often overlooked by growers but avoiding damp, humid conditions especially during flowering can completely avoid major problems such as powdery mildew, mould, pest attacks, poor plant health. Using a Dehumidifier can transform your growing environment with the click of a button. One of the most important elements to perfect when growing is regulating the correct temperature and humidity throughout your cycle. We encourage our customers to understand the difference between humidity and temperature and the negative impact on your plants if either of these is not maintained at the right level. Humidity is the measure of the amount of water vapour in the air. Plants transpiration process behaves differently depending on your grow room conditions. Low humidity causes plants to transpire quicker than your plants ability to intake nutrients therefore nutrients are not absorbed by your plant, only water-resulting in deterioration in your plants health. High levels of humidity cause moisture to become built up exposing your plants to fungi and mold growth. Therefore the ideal conditions for indoor growing would be 50-70% humidity during vegetative growth and 40-60% humidity during flowering. 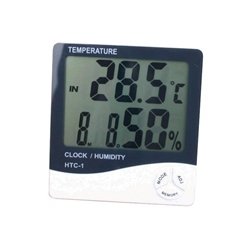 In this section you can find different gadgets and accessories that can help you successfully maintain the correct temperature and humidity.